Your status on GDPR compliance? 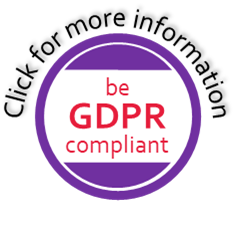 More and more companies, including small organisation and ASBLs, have demonstrated compliance to GDPR . This is far easier to achieve than generally thought. DPOaaS: typically 2-5 days per year external support as Data Protection Officer. We are prepared and eager to support you! states and other large institutions can use nudges to improve whole societies. The main New Year’s resolution of itrust consulting for 2019 is to incorporate nudging to the benefit of our customers’ security needs. The main issue is that people decide emotionally without rationally considering security. Efforts to improve security take attention and resources away from their core business. Moreover, people have a strong tendency to reject constraints and authorities, as these give them the impression that they have lost the power to decide. Nudging rests on the idea that most decisions are actually taken unconsciously. 'Nudging for security' means therefore to prepare the environment so that people unconsciously, but freely, choose the right option for themselves and their security. A nice example of this are the privacy-by-default requirements of the GDPR. It is now up to us to come up with - and implement - others for our customers. As a consequence, itrust consulting wishes to employ a social scientist to assist in this approach. Happy nudging for better cybersecurity!